1. Wash and dry fabric before applying. 2. Peel away release liner and press adhesive thoroughly into fabric. 3. Allow 24 hours to set up. Note: Wash in cold or warm water—no hot water wash. For lightweight fabric fastening. Not recommended for hanging objects. Not recommended for use on soft plastics or flexible vinyl. Wash results on difficult to bond heavier fabrics, such as canvas and denim, may vary – test before using. Will this product keep my fabric couch cushions in place? Yes. Be sure to allow 24 hours for the adhesive to set. Will the sticky back adhesive work on clothing made of polyester? 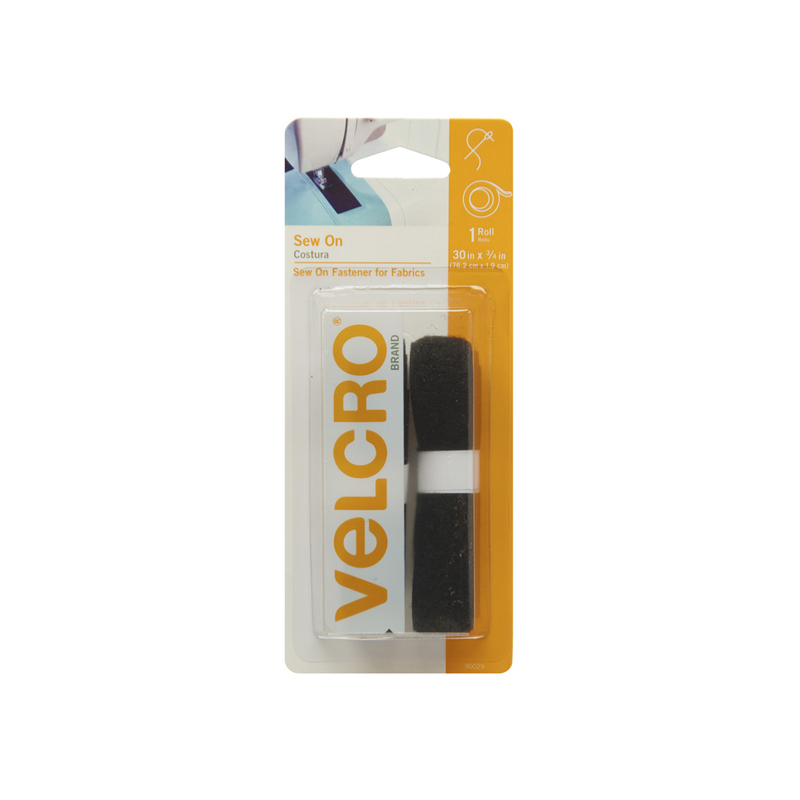 VELCRO® Brand Sticky Back for Fabrics products use an adhesive that is designed for use with cotton, polyester, poly blend and nylon materials. 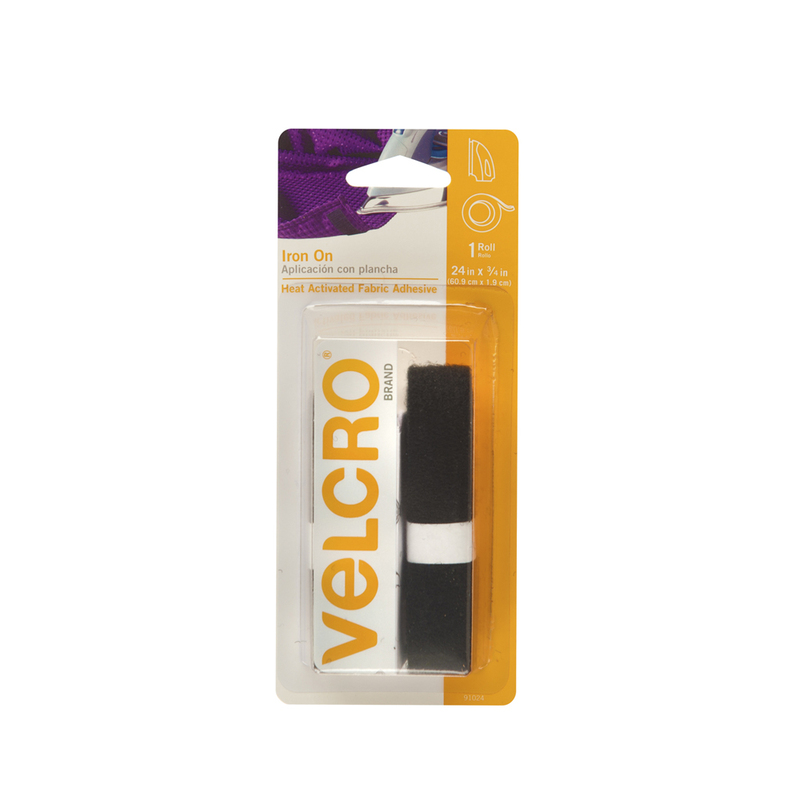 How long do VELCRO® Brand Sticky Back for Fabrics products last? Our Sticky Back for Fabrics products bond to your garments permanently in just 24 hours. Are VELCRO® Brand Sticky Back for Fabrics products washable? Yes. Be sure to use cold water – hot water washing is not supported. Can I use this with my child’s Halloween costume? Yes. Our Sticky Back for Fabrics products are designed for use with clothing and costumes made of cotton, polyester, poly blend and nylon materials. Will VELCRO® Brand Sticky Back for Fabrics products work with curtains? Yes. You can use this product on drapes and curtains.